Sunnah To Follow In Daily Life. Sunnah is the body of sayings and teachings of Holy Prophet Muhammad PBUH. 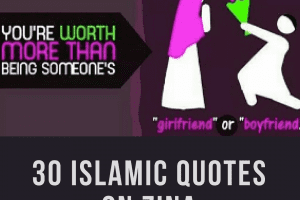 To follow Sunnah is to act upon those sayings and teachings. 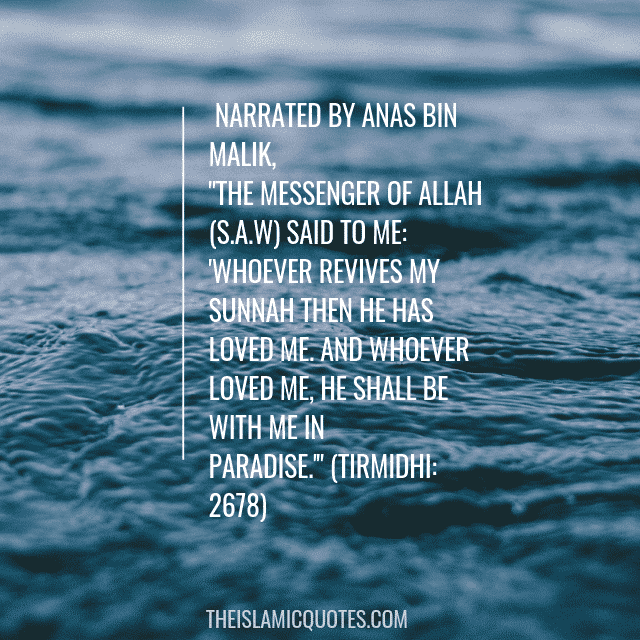 Sunnah is the way to live life for a devout Muslim. 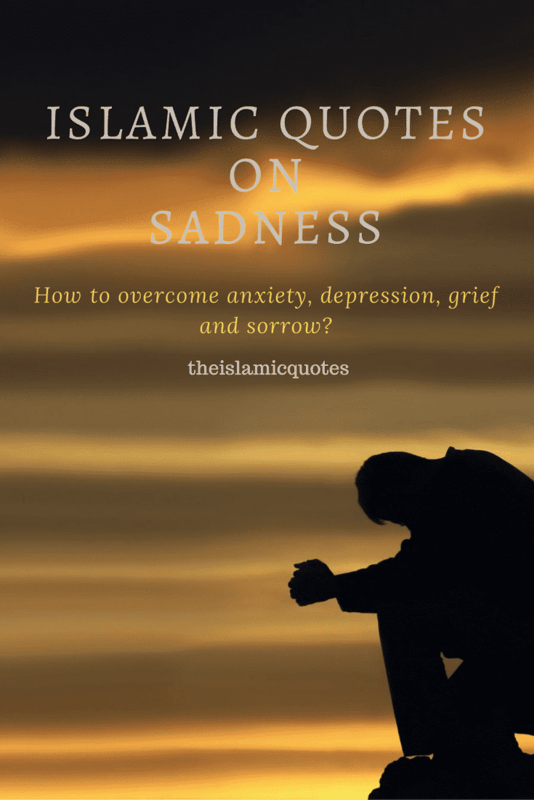 It not only helps us in this world, but it also helps in the hereafter as well. 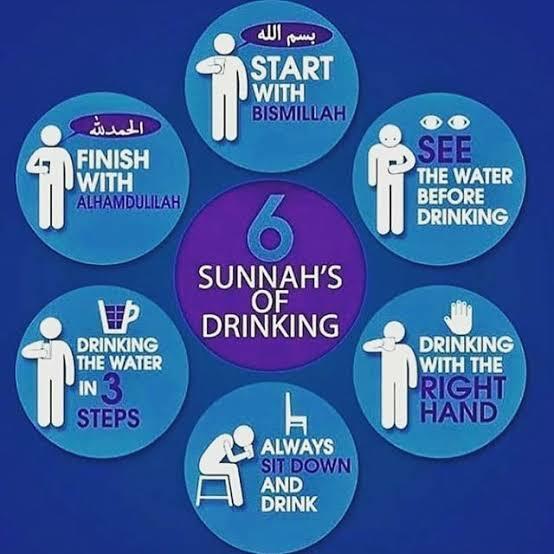 To follow Sunnah is obligatory on a Muslim. Whoever follows it, follows Allah SWT. The Quran opens with Surah Fatiha which starts with Bismillah Hirrahman Nirraheem. Every Surah in Quran, but Surah Tawbah, start with Bismillah which puts emphasis in its recitation. The rewards of Bismillah are great as for every letter 4000 sins are forgiven. Bismillah hir Rahman Nirraheem is the beginning of anything and everything. It is recited before eating, drinking or doing a permissible task. Prophet Muhammad PBUH would always recite ‘Bismillah’ before doing anything as it puts Barakah in the work. He would write letters opening with Bismillah and have written the Treaty of Hudaibiya starting with the blessed words of Bismillah. When we recite the blessed words of Bismillah, we accept that we as humans are weak and need His help in every matter. 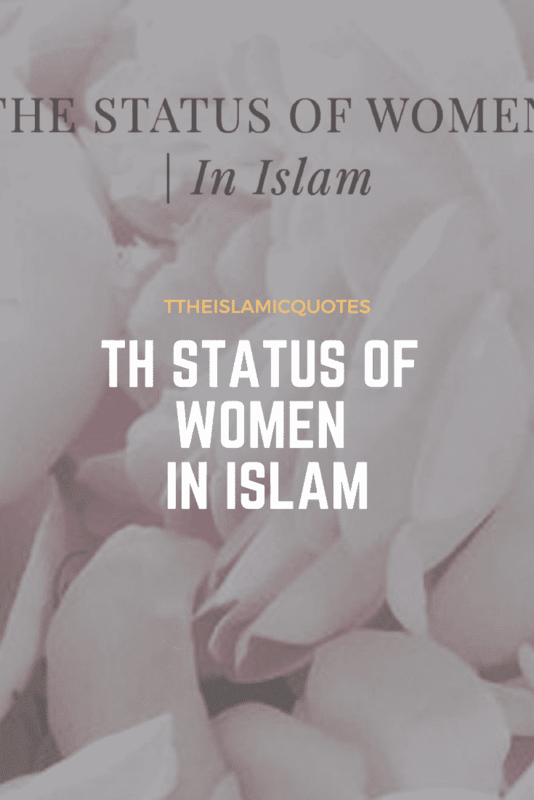 The act that is carried out without these blessed words, it remains incomplete. 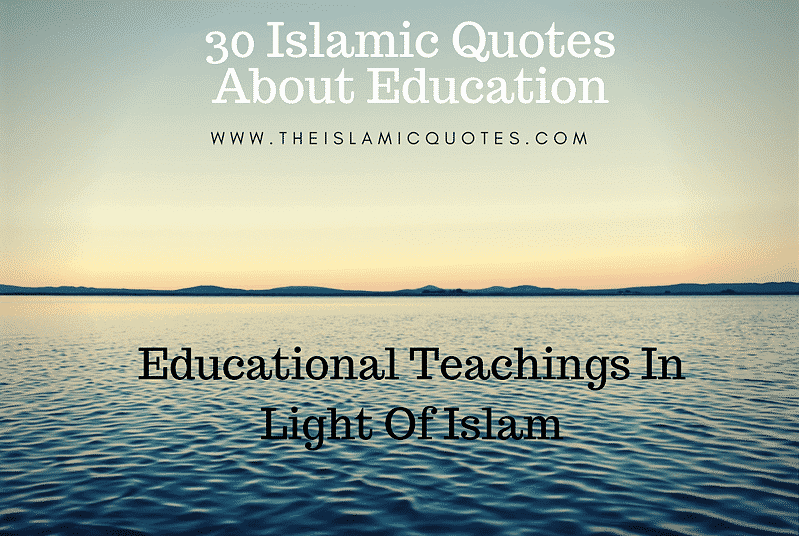 Here are 10 Personality Traits Of Prophet Muhammad (SAW) Every Muslim Must Know. Sleeping is similar to death. We should seek Allah’s refugee and repent for our sins before going to sleep as we don’t know if we would be able to open our eyes to live one more day. 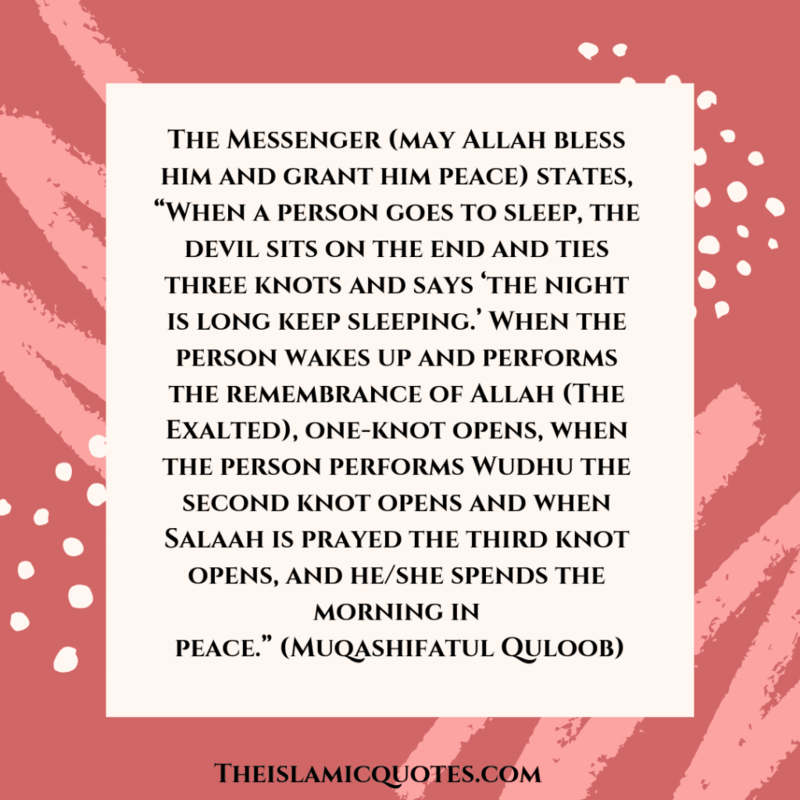 Prophet Muhammad PBUH would praise Allah SWT before sleeping. We should look up to his way of sleeping and act on his Sunnah. Prophet Muhammad PBUH would bid farewell to his companions after Isha and come back to his home to sleep. It is advised to do wudhu before sleeping to stay in the state of purity. While sleeping, our soul rises to the throne of Allah and if we are in a state of wudhu, our souls will be allowed to make Sajdah to Allah SWT. It also protects us from having bad dreams or nightmares. 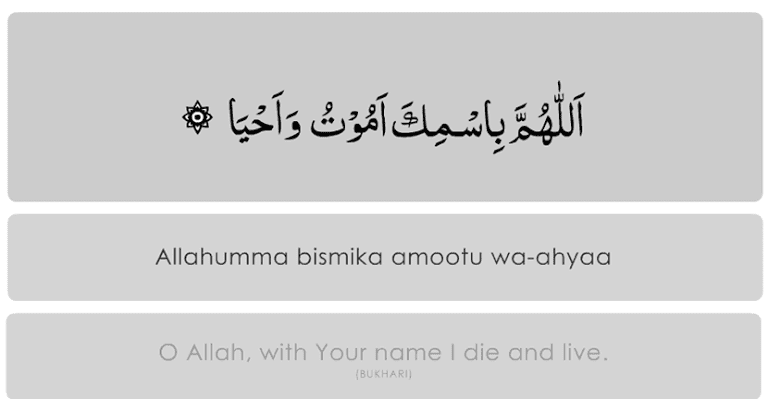 Prophet Muhammad PBUH would always recite duas and make dhikr of Allah SWT before sleeping. While sleeping, an angel and Shaytaan enter the bed, the shaytan wants the awakening to be evil while the angel wants it to be good. But whoever recites duas and does dhikr, he would get the reward equal to praying Salah and doing Dhikr till he wakes up. Our Prophet Muhammad PBUH would always sleep on his right side, with the right hand under his right cheek. He would never lay on his stomach and would get upset if sees someone sleeping in such a position. He described such position (laying on one ’s stomach) as the position of the people from Hell. Waking up alive and well is a blessing from Allah SWT. 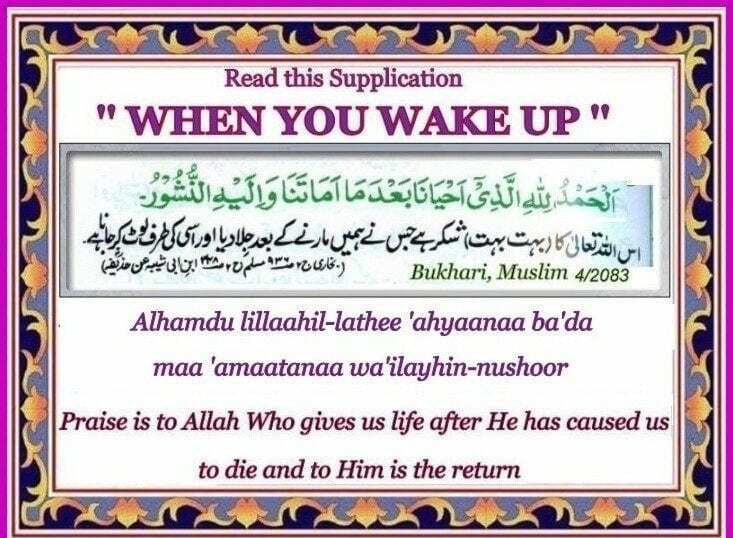 Upon waking up, one should remember Allah, be thankful to Him for one more day to live and think about spending the day in the His remembrance and follow the Sunnah of Prophet Muhammad PBUH. Upon waking up, Prophet Muhammad PBUH would rub his eyes and face with his palm in order to decrease the effect of sleep. 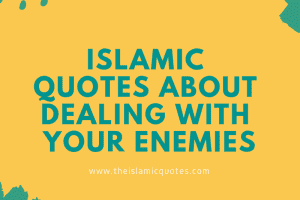 Upon waking up, it is Sunnah to perform ablution and put water inside the nose to brush off the traces of Shaytan as he comes inside the nose. Our Prophet Muhammad PBUH would use Miswak to brush his teeth. It is Sunnah to make the bed after waking up and clean it properly. If it’s left unmade, shaytan grabs the chance to sleep over it. It is Sunnah to pray to remember Allah and pray after waking up. Staying asleep and missing the Salah of fajar makes Shaytan happy as he stays at the end of the bed while a person is asleep. When a person gets up and prays Salah, shaytan leaves the bed and the person spends the whole day in peace. Abulution is to cleanse oneself physically before offering Salah. It not only cleanses one physically but also spiritually. Abulution is the way to gain rewards from Allah SWT. Whoever performs ablution in the right way, following the Sunnah, His body parts will shine on the day of judgment. 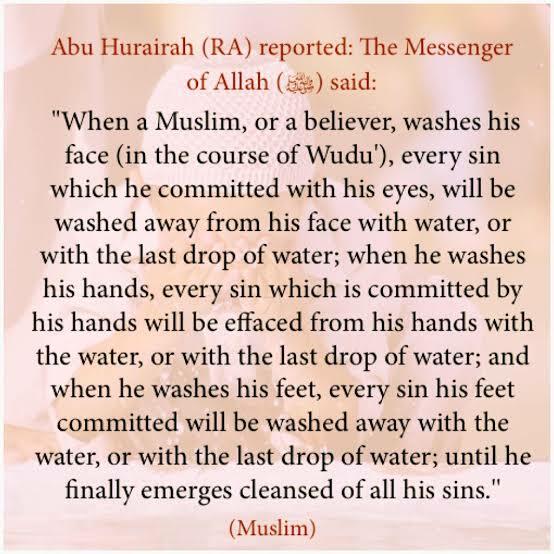 2) To wash the hands ‘three times’ before starting wudu as according to Prophet Muhammad PBUH, hands are the way to cleanse the other parts of the body. 2) Using Miswak to cleanse the mouth before reciting Allah’s praises. 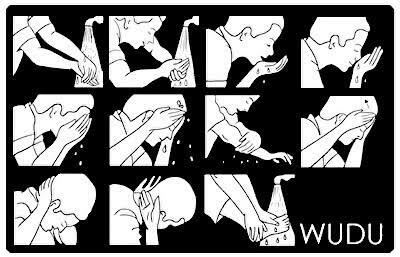 5) Doing Massah (Wiping one’s head) with wet hands and wiping the fingers. 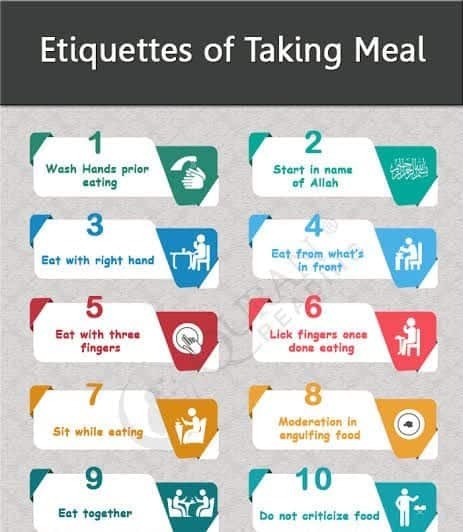 6) Washing the feet till ankles three times and rubbing between the fingers according to Sunnah. 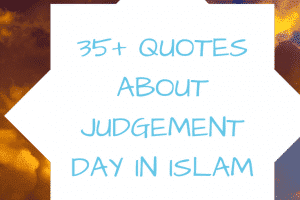 Our Deen has described each and everything for our convenience. Prophet Muhammad PBUH has told eating and drinking habits which are to be followed by us as Muslims. 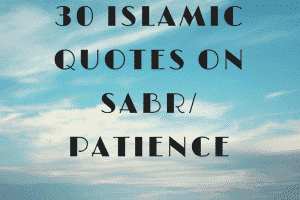 Do have a look at these 50+ Inspirational Quotes of Prophet Muhammad (P.B.U.H) & Sayings. 5) One shouldn’t point out flaws or pass bad comments about the food. 6) The food should be taken from the closest side of the bowl. There are ways that should be followed while entering or leaving the house and we as Muslims should make them a part of our lives. 3) if you’re going to someone’s house, three knocks should be made at the door. 6) Announcing the presence to those who are already inside the house. 7) Using Miswak upon entering your house as it’s Sunnah. 8) A person should leave the toilet with right foot in the front. Smiling is a beautiful sunnah of Prophet Muhammad PBUH. He would always smile and welcome people in the circle of Islam with his beautiful and blessed smile. Today, science has proved many positive results with smiling as it relieves stress and lifts up our moods. 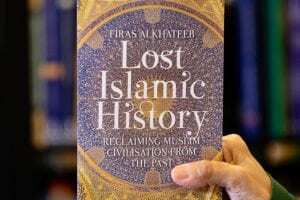 Here are Top 12 Islamic History Books Every Muslim Must Read. 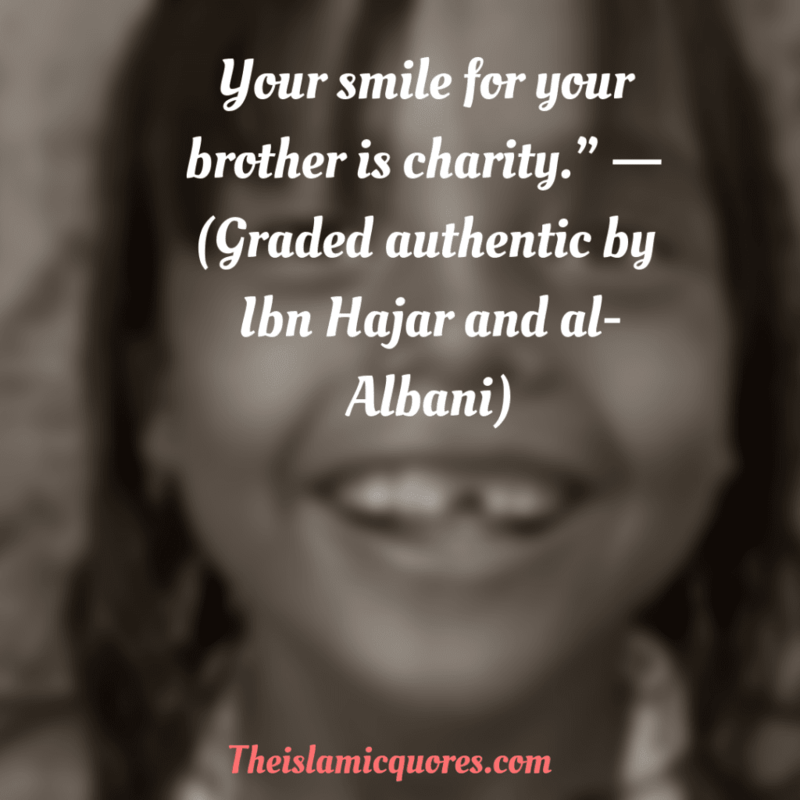 Our prophet Muhammad PBUH considered smiling at other Muslim brothers a charity. Miswak is a twig or a stick used to clean one’s mouth. Our Prophet Muhammad PBUH would use Miswak every day. It’s his Sunnah to use it after waking up, during wudu. He would come to the home and use Miswak. It can also be used while fasting. 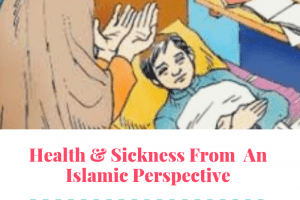 Visiting the sick is very encouraged in Islam. Prophet Muhammad PBUH would visit sick and give blessings to him. 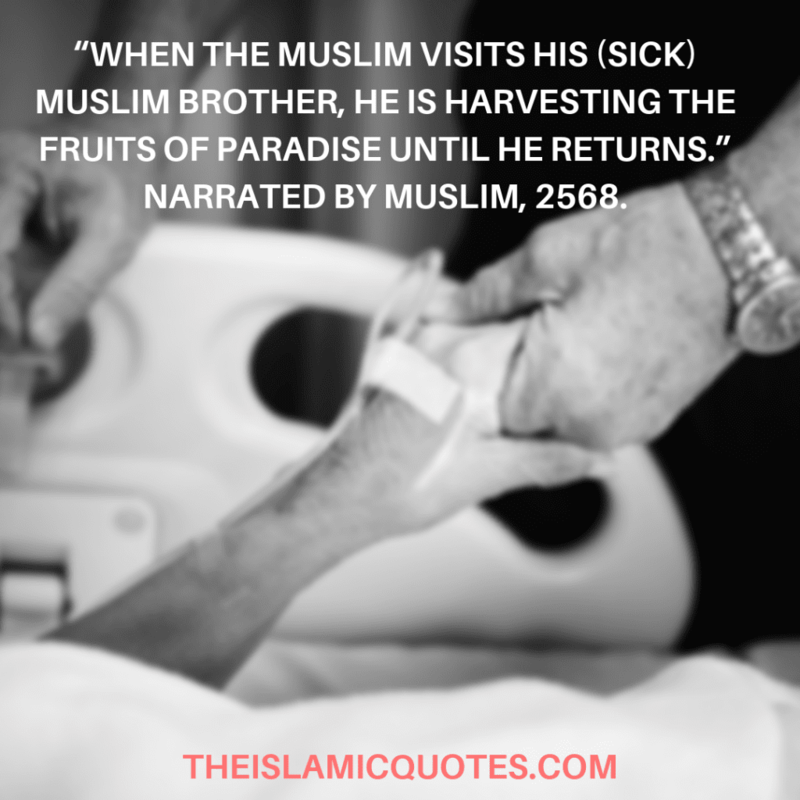 According to Prophet Muhammad, one of the five duties of a Muslim is to visit a sick. It is sunnah that one can even visit a Kaafir for his Iyyadah. But the time period should be brief so that the sick does not get disturbed.